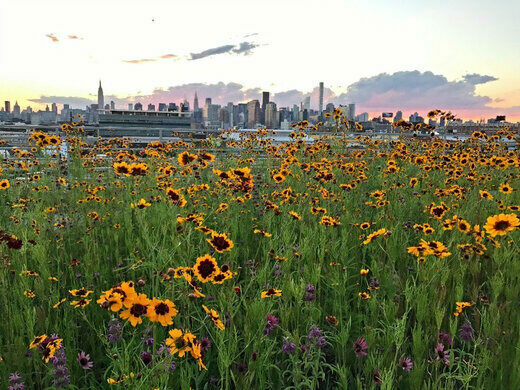 Toast to the sunset as you tour the thriving meadows spanning a rooftop in one of Brooklyn's most heavily industrialized neighborhoods and learn its ecology from resident experts. Kingsland Wildflowers is a 22,000 square foot green roof designed by Alive Structures which sits atop an active movie studio owned and operated by Broadway Stages, in the most sci-fi and industrial section of North Brooklyn alongside EPA Superfund site, Newtown Creek. Non-profit and community partners include, NYC Audubon and Newtown Creek Alliance. 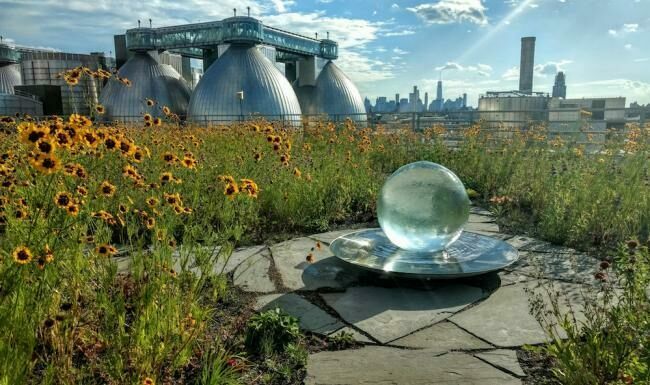 The once-bare rooftop that overlooks the Newtown Creek Wastewater Treatment Plant’s massive egg-like digester tanks is now home to 22,000 square feet of native plants, birds, bats, and insects. Fertile meadows of bee balm, purple aster, meadow prairie dropseed, orange butterfly weed, and wild strawberry plants overlook the scrap yards and factories of one of Brooklyn’s most heavily industrialized areas. The idyllic array of local flora and fauna that fills the sky-high meadow was bankrolled by the Greenpoint Community Environmental Fund, an environmental grant program created with money from the $25 million settlement with ExxonMobil over its Greenpoint oil spill. Join us for a roof tour and lecture with NYC Audubon ecologists who will present findings from the past year of monitoring and research at the Kingsland Wildflowers green roof garden. 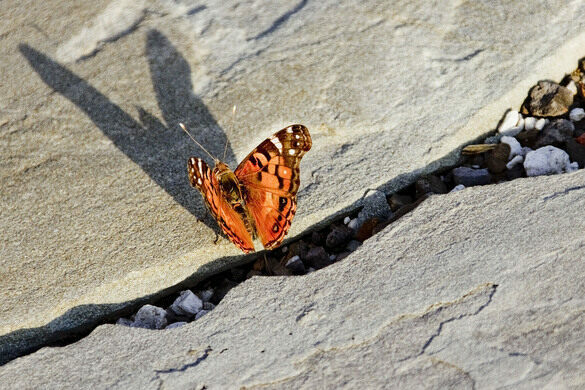 They will discuss green roofs as habitat for birds, bats, and arthropods (insects) in urban environments, the benefits of native plants as a way to attract biodiverse pollinators, stop-over habitat, migration, and more. The first tour will be at the green roof, which is wheelchair accessible.